TORONTO — Like the lines of poetry it contains, director Jim Jarmusch's film "Paterson" unfolds steadily, quietly noting the details of a routine, simple life. The movie follows seven days in the lives of its subjects and is devoid of any heavy, complex drama. And that's how Jarmusch wanted it. "This film I think of a little bit more as a film with a kind of poetic structure," said Jarmusch. "The seven days of the week is a very simple thing, it's like stanzas in a poem." "Paterson" stars Adam Driver — known for playing the villain Kylo Ren in the latest "Star Wars" film and Adam on the TV series "Girls" — as a bus driver named Paterson living in the small city of Paterson, N.J. Iranian actress Golshifteh Farahani plays his bubbly, artistic wife, Laura. The film follows Paterson's unremarkable routine through a regular week, marked by his time at work, at home and at the neighbourhood pub. In his spare moments, however, Paterson jots down poetry in a small notebook and resists his wife's efforts to share his verse with the world. Jarmusch, who wrote the script of "Paterson" himself, said he wanted the film's protagonist to be a bus driver for a reason. "I wanted the character to kind of have a working class job and be an artist or a poet. And a bus driver, I love the idea of floating through the city and receiving the images and bits of conversation," he said. "A bus driver seemed like a beautiful way to float him visually through the city." While his lead character enjoys writing poetry — and even writes some good pieces based on the little details of everyday life — he isn't overly self-reflective. "He's good at it, he keeps doing it, it's something that's important to him, but it's not the recognition for it that's important to him," the director said. "I've tried to follow that all my life — that when we make films, those of us making it, we're making it for ourselves." Also like his main character, Jarmusch said he's "very adamantly not analytical," because his strength lies in his intuition. "Thinking through too much about why would I do that, or what does it mean, I just feel like that would diminish my strength," he said. "I know my gift is intuitive and it's not analyzing why or what." 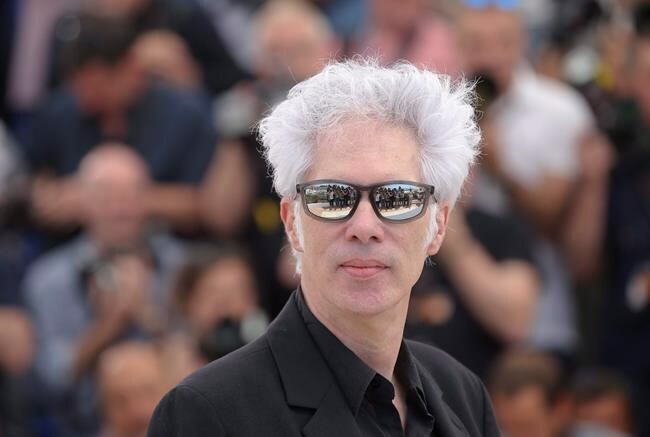 In another similarity with the protagonist in his film, Jarmusch too has a long-standing love of poetry — he even happened to have a small book of poems with him during chats with reporters at the Toronto International Film Festival. "I love poets," he said. "Since I was a teenager I realized that poets, they weren't in it for the money, and they were really rebellious and in a way innovative and they were brave and they were sensitive and so they were kind of to me (like) rock stars." "Paterson" opens in Toronto and Vancouver on Friday before expanding to Calgary, Edmonton and Ottawa on Feb. 17 and Montreal on March 3.